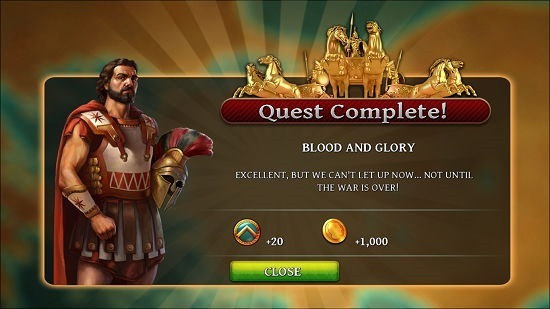 Age of Sparta is a free strategy game app for Windows 8 and 8.1 which makes for a great way to fall back into the ancient times of battle between Greeks and Persians. The game has been developed by Gameloft, and if you are a fan of the 300 series of movies, you will instantly relate to the game. The game is a bit heavy on the size, but trust me when I say that it’s completely worth the download. It has insanely good graphics and a background score to match. 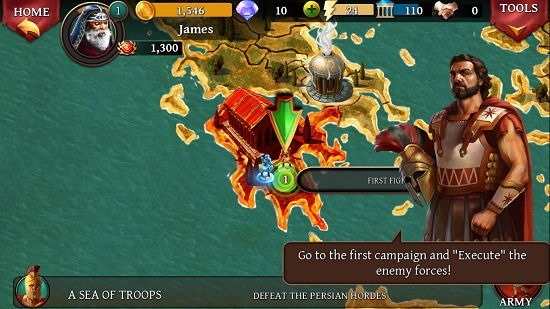 Age of Sparta is available for free from the Windows App Store. When you run Age of Sparta on your device, you will be presented with the below screen. This is the tutorial screen of the game wherein you will be guided throughout the game and basically be told about the various controls of the game and the steps that need to be followed to complete quests and missions in the game. The gameplay screen is very similar to the tutorial screen, the only difference being that there will be no arrows shown on the screen to guide you. 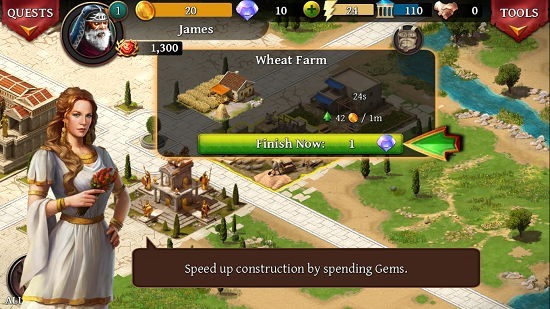 You can access the game’s shop via the Tools menu at the top right, and then clicking on the Shop button. Similarly, you can access the campaigns where you can go on to battle your enemies. When you click on the Campaign button at the bottom right, you will be shown an interface as can be seen below. You can select the campaign in green to start the battle as that is the unlocked one. The battle interface is shown below. During battle, you can block the incoming projectile attacks from the enemies by swiping on them, but make sure to do that fast as these projectiles travel really fast. When a battle is completed, you will get a confirmation message on your screen regarding the same. 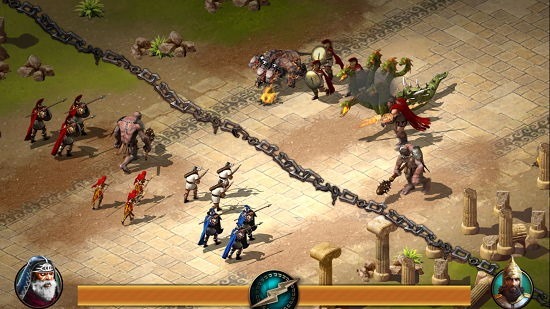 This wraps the main features of Age of Sparta for Windows 8 and 8.1 devices. Age of Sparta makes for a great download on devices running Windows 8 or above. You can get it from the link below.